Here you will find the collection of news posts that have appeared on our front page. If you have any questions about any of the articles you find here, feel free to contact us. If you're looking to save some money on a one-way motorcycle ride or motorbike self-guided tour then we've got a great range of relocation offers available to choose from! Discounts range from 10-25% and there's always a saving of the normal one-way fee which can be as much as AU$ 990 depending on the special offer, so certainly worth considering for a quick getaway or a spur of the moment ride! You can see the full range of special offers available by clicking here or you can contact us directly for more information. The Ultimate East Coast Tour at an ultimate discount! If you're looking to save some money on a fantastic fully guided motorcycle tour from Sydney to Brisbane, then look no further! 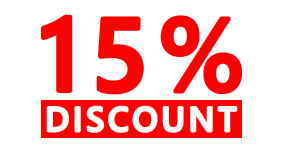 We've got a 15% discount to offer to early adopters of the ride and previous clients as well! This is an offer not likely to be repeated so if it's something you've always wanted to do, or if even if you had a great time on a previous trip and want to do it all again - then now is the time to book! Get in touch if you'd like more information or you can see the details of the tour here. We've had to delay the start by a month from our original dates so it could be slightly cooler on tour, but the 15% discount should bring a warm glow! Discounts range from 10-20% and there's always a saving of the normal one-way fee which can be as much as AU$ 990 depending on the special offer, so certainly worth considering for a quick getaway or a spur of the moment ride! You can see the full range of special offers available by clicking here or you can contact us directly for more information. You may have ridden in the Blue Mountains, ventured through the Hunter Valley and roamed along local minor roads but how well do you really know the area? Have you explored the gravel tracks littered throughout this beautiful region? Perhaps you’ve wanted to but were always worried about losing your way, being out of your depth on unsealed roads or not having any support in the event of a breakdown? Well now is your chance to discover what’s really out there! Why not join us and a bunch of like-minded riders on this fantastic adventure riding weekend? Make new friends and explore the spectacular scenery and riding all within easy reach the bright lights of Sydney. It will be a small, intimate group supported the whole way with a lead rider, backup vehicle and as much friendly advice and help as you could wish for if you’re new to riding on gravel roads and tracks. We're lucky enough to be able to offer a one time only, special offer for an incredible guided motorcycle tour from Sydney to Cairns. If you're quick you too could be fortunate enough to join us and the other riders who have already secured a spot on this amazing ride from the culture capital of Australia, to the tropical delights of northern Queensland. A fantastic chance to experience some of the most spectacular riding on offer along Australia's eastern fringe, at a special discounted rate! Pay a visit to the Sydney Opera House, climb high into the Blue Mountains, experience the most famous Australian vineyards, ride through superb high country, relax on some of the best beaches on earth, explore the oldest rainforest on the planet and marvel at the Great Barrier Reef. For more information about this amazing opportunity click here. The 6th to the 22nd of July 2016 - Make a note, this is one trip you'll regret missing for the rest of your life! BikeRoundOz becomes Australia’s first nationwide motorcycle rental and tour company! The merging of three of Australia’s largest tour and rental operators means that ‘Down Under’ two-wheeled explorers now have a single source for pre-ride advice, rental bikes, tours and support no matter where you roam across Oz. BikeRoundOz has been serving the region for 14 years. By joining forces with the Australian division of worldwide tour operator Compass Expeditions and Bikescape, who are Sydney’s largest rental and tour company, you’ll be able to collect and drop off in Sydney, Melbourne, Perth, Brisbane, Cairns, Adelaide or Darwin. Australia is vast and without good advice you can miss all the good stuff. Our daily focus is to ensure clients make the most of their time here whether it’s a day trip from the city or a cross continent, gravel road epic. You’ll be given high quality advice from real people that have ridden the routes, expertly prepared bikes, attention to detail and fast support no matter where you are in the country. We look forward to helping you Bike-Round-Oz! Click here to read a more in-depth release. We're looking for just a few more select riders to take part in our Ultimate Guided Tour of the very finest of the East Coast of Australia. A continent spanning adventure beginning in the Northern Territory, heading south via Uluru [Ayers Rock] and the dusty 'red centre', to South Australia & Victoria. Haunting desert scenes, World Heritage Areas, a ride along the Great Ocean Road, intricate landscapes and fascinating people. A smattering of off-road riding via the famous Oodnadatta desert track adds a taste of gravel riding. It all adds up to one of the most iconic rides there is! For more information about this amazing opportunity click here. 31st of August through to the 18th of September 2015 - Make a note, this is one trip you'll regret missing for the rest of your life! BikeRoundOz has been serving the region for 14 years. By joining forces with the Australian division of worldwide tour operator Compass Expeditions and Bikescape, who are Sydney’s largest rental and tour company, you’ll now be able to collect and drop off in Sydney, Melbourne, Perth, Brisbane, Cairns, Adelaide and Darwin. The merging will mean a seamless one stop shop no matter which part of Australia you are exploring and type of trip you’d like. Choose from a simple rental, on or off road, over 60 self-guided tours and both sealed and enduro guided trips. The extremely popular 'Outback Ready' bikes will be available out of most depots and as the name suggests are equipped with everything you’ll need to venture into Australia’s iconic outback. Places on the highly anticipated Australia Encompassed guided motorbike tour are being snapped up by some lucky riders already. The last few places on the Ultimate Guided Tour of the very finest of the East Coast of Australia have been snapped up by some lucky riders, next opportunity for the epic guided tour will be 2016. The next highlight on our guided tour calendar is the fantastic Cross Continent Outback tour. For more information about this amazing opportunity click here. It's not called the Ultimate East Coast Guided Tour for nothing. If you're looking for an epic motorcycle experience to keep you entertained between the 15th and 27th of March 2015, then look no further! All the quintessentially Australian highlights in the eastern reaches, connected together by some of the finest motorcycling roads the country has to offer. It's one of our personal favourite rides and once you've experienced it, you'll see why! To find out more about this incredible guided tour, click here, or you can get in touch with us directly to ask any questions. We're down to the FINAL TWO places left available on this tour so be sure to get in touch soon to avoid missing out on this chance of a lifetime! 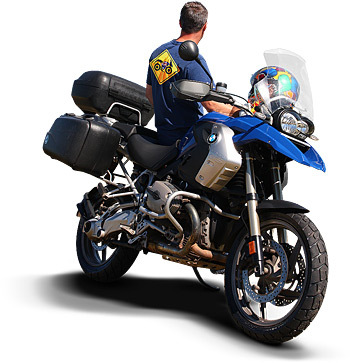 Do you like BMW motorcycles and fantastic motorbike touring at discounted rates? Of course you do, what's not to like! 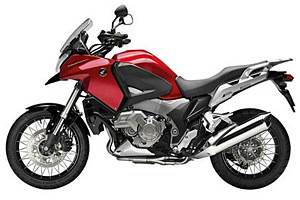 We've just added a great selection of Bavarian born bikes available at special discounted rates between Melbourne and Darwin in August 2014. If you're dreaming of a long distance motorcycle adventure, one of these bikes on a ride to Darwin could be just what you're looking for! Your wallet will certainly thank you for saving it the normal AU$ 990 one-way fee and 20% off the daily rental price. Bring some friends for the ultimate group ride. Not got any friends? Announce you're riding to Darwin on one of these great machines and you'll soon find yourself very popular indeed! 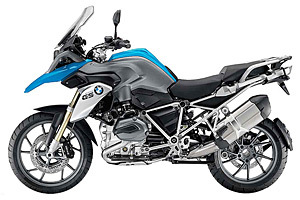 Choose from the very latest BMW R1200GSWB (water cooled model), the BMW R1200GS, F800GS, F700GS and BMW G650 Sertao. All 'Outback Ready' and prepared for adventure! Hot on the rubbery heels of the newly arrived Honda VFR1200X Cross Tourer, we have another pair of new bikes available for hire and tours from Brisbane. The much vaunted BMW R1200GS 'Water Boxer' and the very shiny, very orange KTM 1190 Adventure. They've recently been added to the range of bikes from our Brisbane depot and are now available. They're proving to be a popular choice so it's best to enquire early to avoid disappointment! Honda recently announced the release of its new VFR1200X 'Cross Tourer' to great general acclaim, so we're equally pleased to say that this sports tourer / adventure bike hybrid is now available to hire from our Brisbane depot. It is also ideal for use on any of our Brisbane based self-guided motorcycle tours. 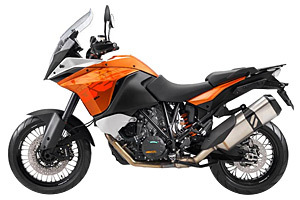 A number of other brand new and therefore spectacularly shiny motorcycles are due to arrive at our Brisbane depot soon; including the much vaunted BMW R1200GS 'Water Boxer' and the new KTM 1190 Adventure machine. More news on their imminent arrival will be posted soon. We are pleased to announce that the scheduled maintenance of our security system is now complete, the website is once again taking bookings and enquiries. We apologise for any inconvenience the temporary outage of service may have caused. We are currently undertaking routine maintenance of our security system in relation to our booking system. If you attempt to book through the site you will be presented with an 'expired security certificate' notice. Normal operations will be resumed shortly. In the meantime you can contact us directly at info@bikeroundoz.com to confirm any bookings and arrange secure payment. Semi-guided tour places filling fast! Undertake the incredible ride from Melbourne to Sydney, via the amazing island state of Tasmania in this 17 day, semi-guided motorbike tour! This tour is now confirmed as going ahead and places are filling fast! If you're interested in learning more about this fantastic semi-guided motorcycle tour, you can get more information here. Just added to our tour line up for January and November 2013 and places are already filling up fast. If you're interested in learning more about this fantastic semi-guided motorcycle tour, you can get more information here. The 2013 dates for our ever popular South West Aussie Experience guided tour have been released. The 9th to the 17th of November 2013 mark eight days and nine nights of some of the finest motorcycle touring in Western Australia! Stunning unspoiled coastline, unique rock formations, the second tallest trees in the world, rolling hills packed with vineyards, great little coastal and country towns and some fascinating gold mining heritage.